The European Plastics Converters Association (EuPC), in co-operation with Polymer Comply Europe (PCE), has concluded its 2nd European survey conducted from January to September 2018 on the use of recycled plastics materials (rPM) in Europe’s plastics converting industry. This survey was conducted to address the numerous challenges found facing the European plastics industry regarding the transition towards a circular economy. The requirement for a strong market for rPM as a raw material in the creation of new products as part of sustainable industry is becoming critical for the success of recycling targets. The 1st European survey was conducted by PCE on behalf of EuPC from May to September 2017 with the involvement of 485 respondents from 28 different countries giving a representative result from all major sectors of the industry. The second survey was commissioned to provide deeper insight into the findings of this survey which concluded that the quality of recyclates hinders inventive for converting companies to use rPM, which in effect creates a barrier to growth towards a circular economy. 376 companies from 21 different countries took part in the newest nine-month survey by completing a provided online questionnaire. The goal of the survey was to determine the current use of rPM and determine the challenges facing converting companies who are requested to ensure the use of rPM. The current legislative framework was assessed regarding supports for rPM and an outlook for the future is provided. 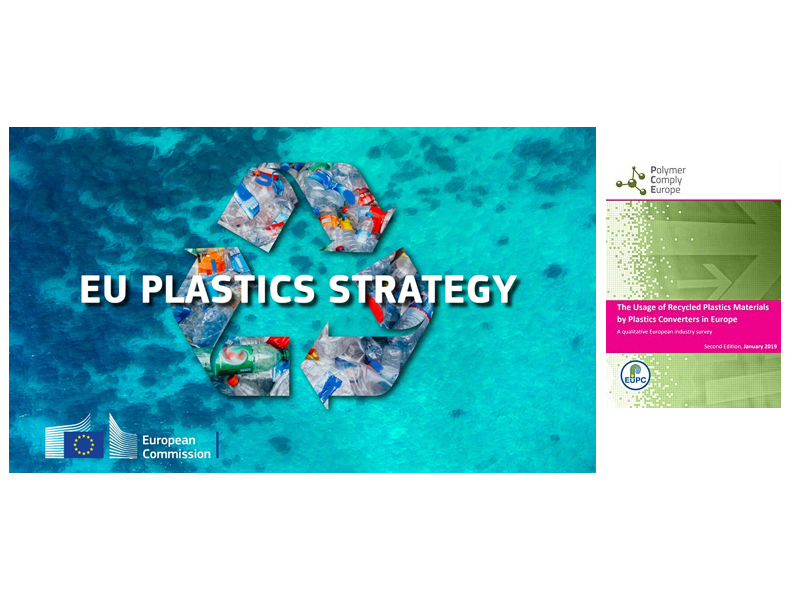 The survey concluded that the majority of plastics converters considered reaching the EU plastics target too difficult under current conditions. The majority of participants suggested that improvements in collection and sorting activities as well as improved recycling technology and design would help to address the quality issues raised. The EuPC intend to launch a third survey in 2019 and are currently developing an online tool to assist in monitoring the use of rPM in the European plastics converting industry.